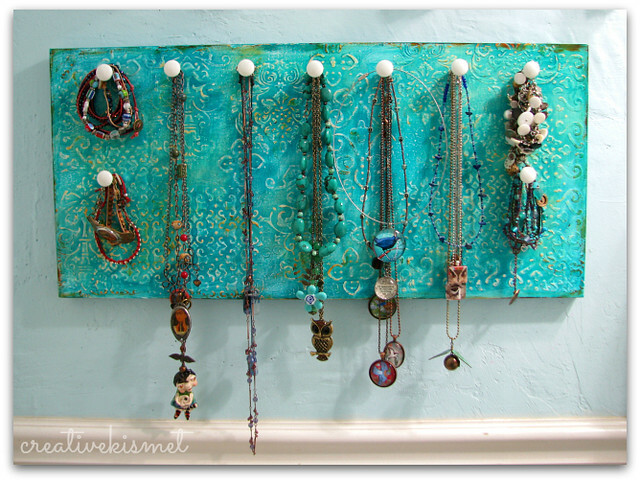 I finished my jewelry board today. 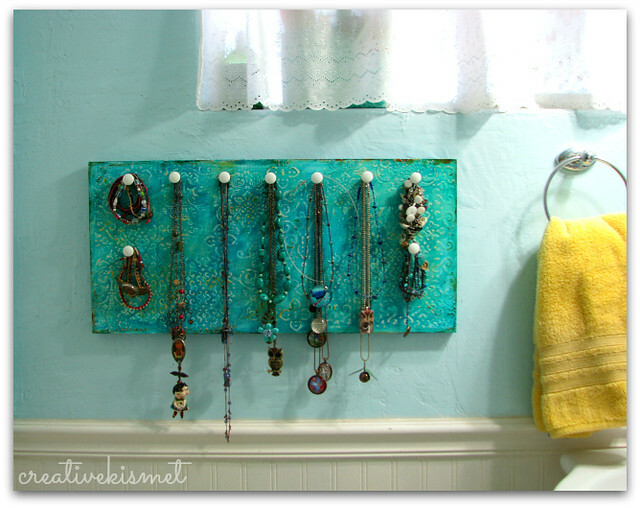 I couldn’t wait to get it hung up in my bathroom so I could sort my necklaces and bracelets. I hammered in flat head nails then found some vintage white glass buttons that I had been saving for ages. I screwed off the metal shank and glued them on with e6000. I’m so happy with it. You can see how I did the relief stenciling HERE. This entry was posted in i make stuff, jewelry. Bookmark the permalink. love how you added the vintage buttons- what a great idea. 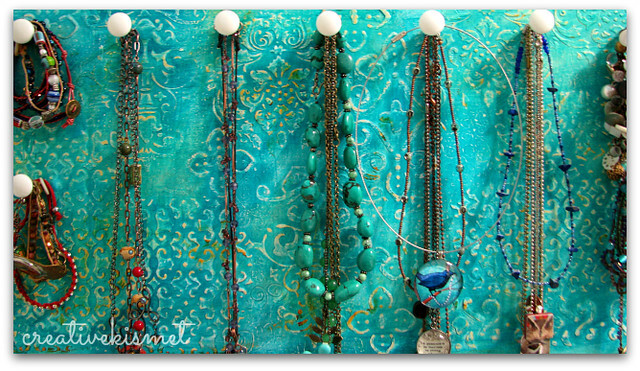 It looks wonderful with all your awesome necklaces on it. Happy Mothers Day!!! How neat! Would love to have one myself. Am thinking of putting some hooks or some nails on the back of my closet door. To fulfill the same purpose.